The Spa & Wellness Gift Card is the perfect gift for just about every occasion, and now it’s even easier to give the gift that keeps on giving. 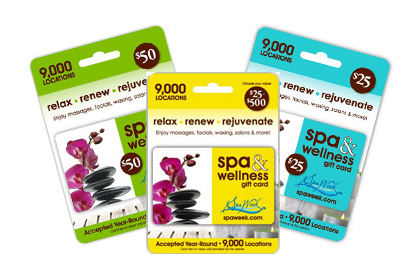 Spa & Wellness Gift Cards are now available at select retail locations nationwide, so there’s no need to wait on giving the gift of wellness. See below for just some of the current locations where you can purchase a Spa & Wellness Gift Card. Be sure to check back often as this list can be updated without prior notice.